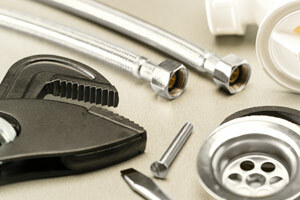 Do you need a new faucet installed, have a clogged drain, or need your drains inspected? No matter your plumbing needs, our team is here to assist you! For over 36 years, Ken's Plumbing & Aaron Sewer has been providing dependable commercial and residential plumbing services to clients in Edison, NJ and the surrounding areas. As a full-service plumbing and drain cleaning company, our team strives to provide the highest level of service to every client. We have the high-tech tools, knowledge, and experience necessary to provide our services to both residential and commercial clients. From service and maintenance to repairs and inspections, we can help you with all of your plumbing needs. Our office answers your phone calls during the day, and our plumbers answer calls after hours. At Ken's Plumbing & Aaron Sewer, our plumbers stand behind every job we do. Should your plumbing give you any problems after we have finished, we will send someone out as soon as possible to repair the issue. It is our dedication to our customers that truly sets us apart from other companies. Don't get frustrated with a leaking pipe or a clogged drain. Get your plumbing working properly with help from Ken's Plumbing & Aaron Sewer! Call us at 1-800-696-DRAIN (3724) to schedule an appointment. We look forward to the opportunity to assist you and earn your business!